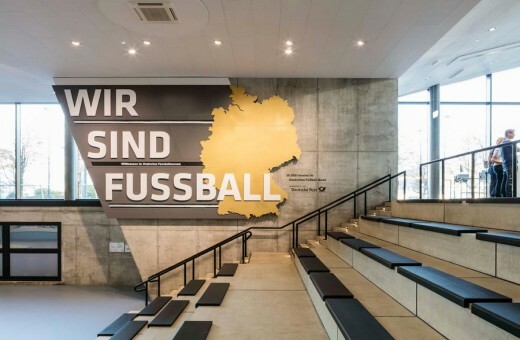 The German Football Museum in Dortmund opened following 3 years of construction. The façades and form of the structure reflect the dynamism and emotion of the game. 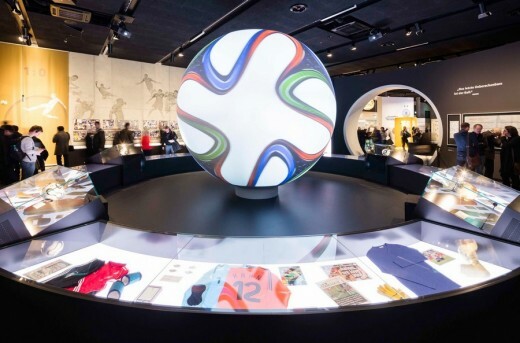 The new premises of the German Football Museum were officially opened on October 25h with a 3-day celebration. 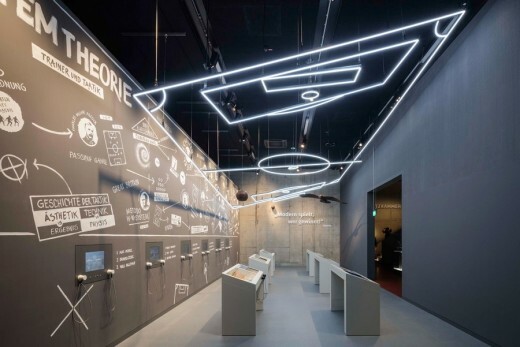 Four years after winning the Europe-wide competition to design the museum, HPP have created a new and permanent home for the 140 years of German Football history. HG Esch has now photographed the building. 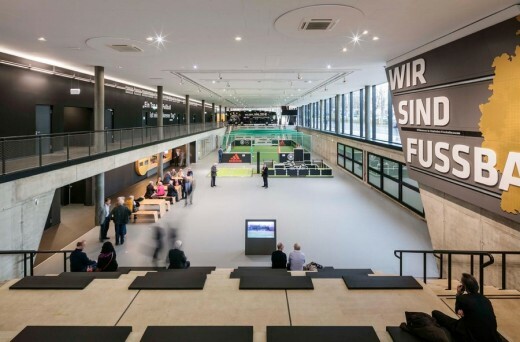 Situated in a prominent location opposite Dortmund’s central station, and complementing the existing artistic and cultural context, footballing history can be experienced for the first time on 7,700 sqm of GFA in a context outside of the usual realms of the sport. 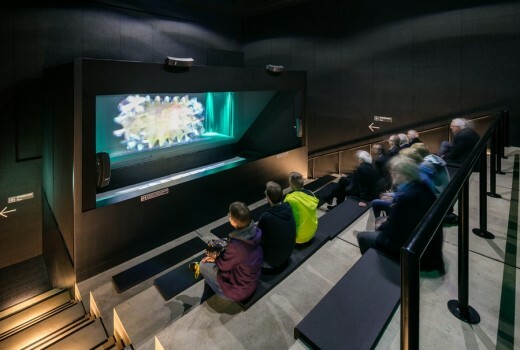 The form of the elevated structure with its wedge-shaped incisions is drawn both from the urban context on Königswall and from the exhibition concept, developed and executed by scenographers TRIAD Berlin. 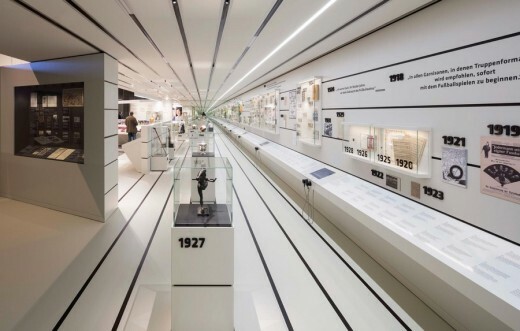 The architectural appearance is mainly influenced by three elements: the free-floating body, the continuous public space and the podium. The latter is a key element, particularly in terms of the surroundings, and functions as a welcoming gesture. 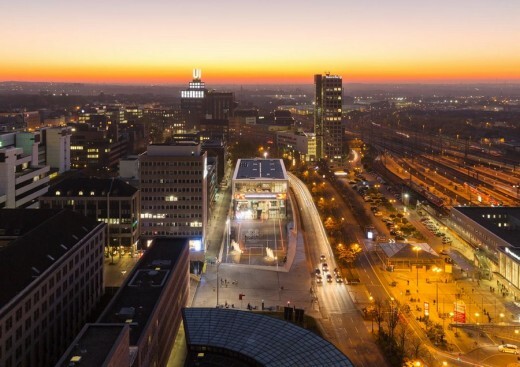 The plateau serves to even out the varying site levels, allowing access free of thresholds and steps. The façade carries the clear message that this is the place of Germany’s most well-loved sport. 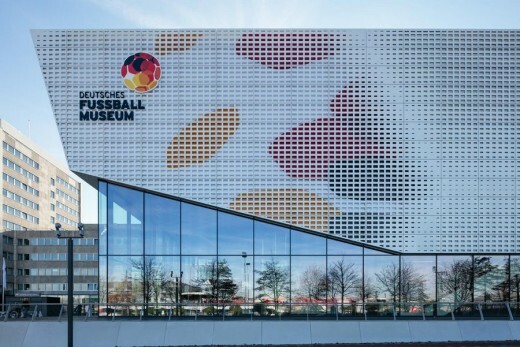 The football motif is represented by a perforated aluminium façade, back-lit with LEDs. The pattern of the square perforations coalesce to form an image of a traditional football. 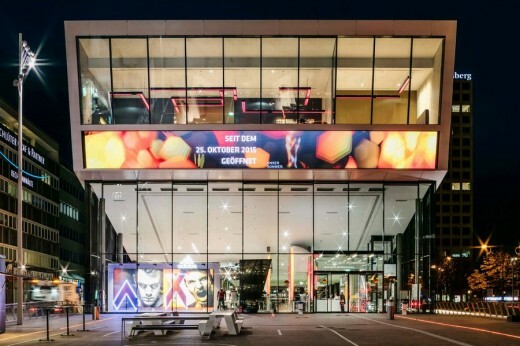 The space between the skins of the façade can be spanned with interchangeable graphics. 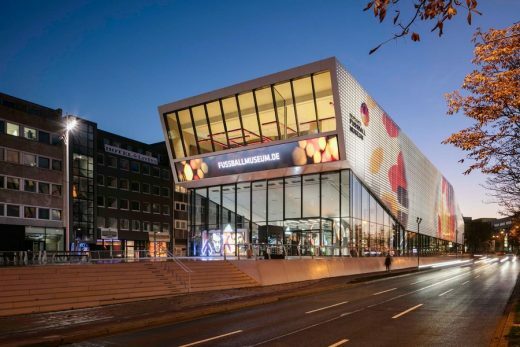 An LED media façade completes the exterior of the experience-orientated building. 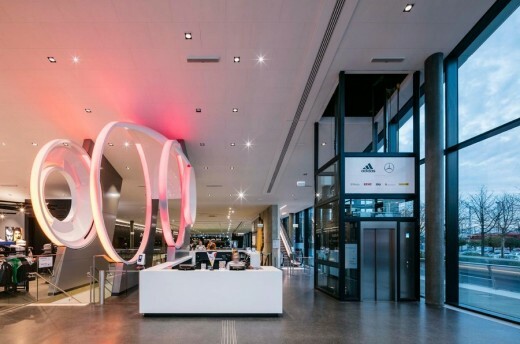 Visitors access the building via a forecourt leading to the entrance foyer, which has been designed as a free-floating space that acts as a continuation of the city. 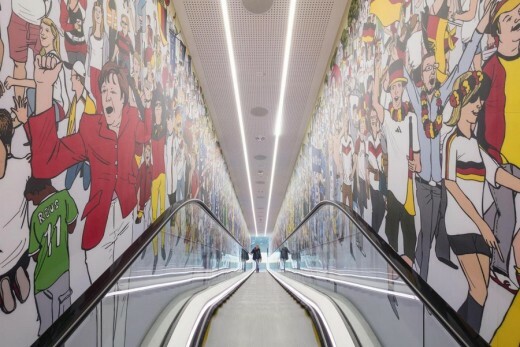 Past the ticket desk and fan shop, an escalator takes one up into the twin levels that house the permanent exhibition. The “Arena” on the lower ground floor is reserved for temporary exhibitions and events and catering facilities.